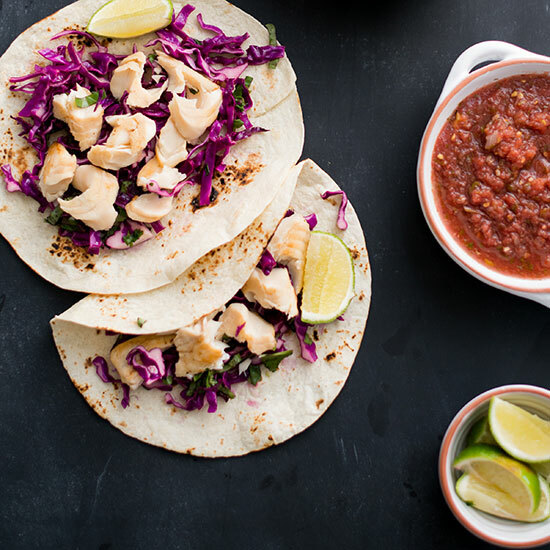 This just might be the ultimate #TacoTuesday. 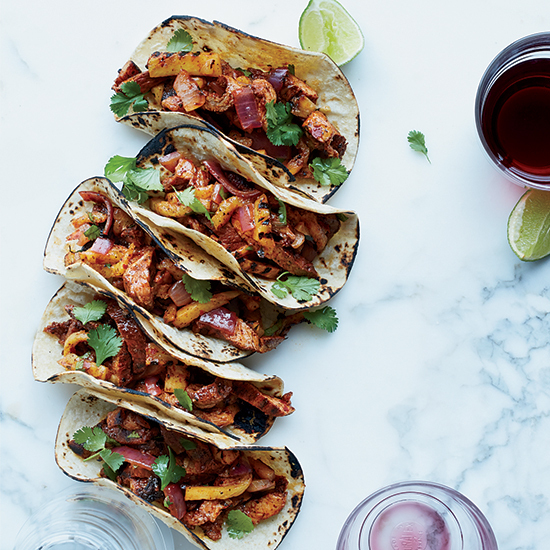 If you tend to get overeager at the grill when you’re entertaining and end up with a bunch of extra food, there’s no better way to enjoy your hard work the next day than by tucking it all into a taco. 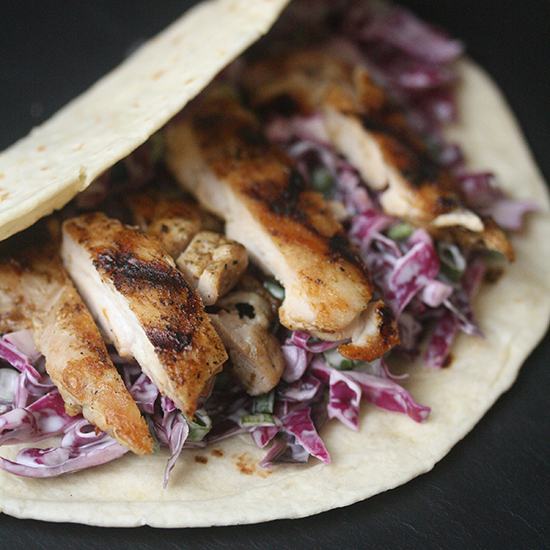 Buy pre-shredded cabbage to make these tacos super fast. Slow cooker barbecued pork is fantastic on hamburger buns with coleslaw and thinly sliced pickles. 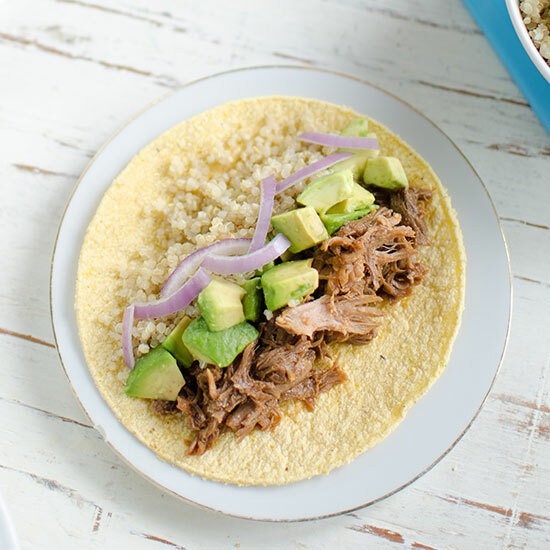 Leftovers are just as delicious in tacos accompanied with tart avocado salsa and crunchy red onions. 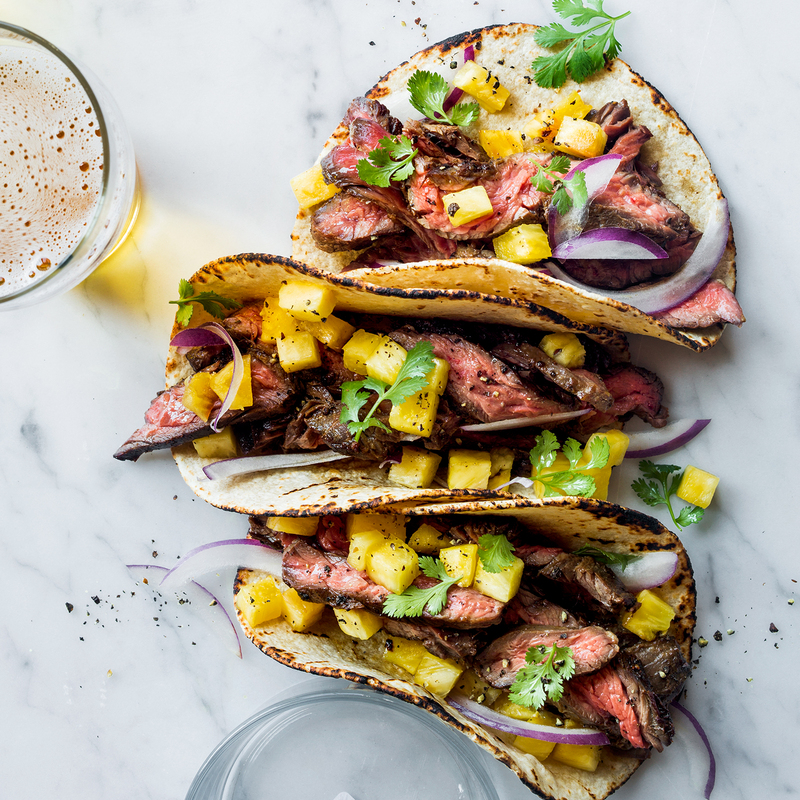 Pair leftover steak with sweet, juicy pineapple for a fast and delicious weeknight meal. 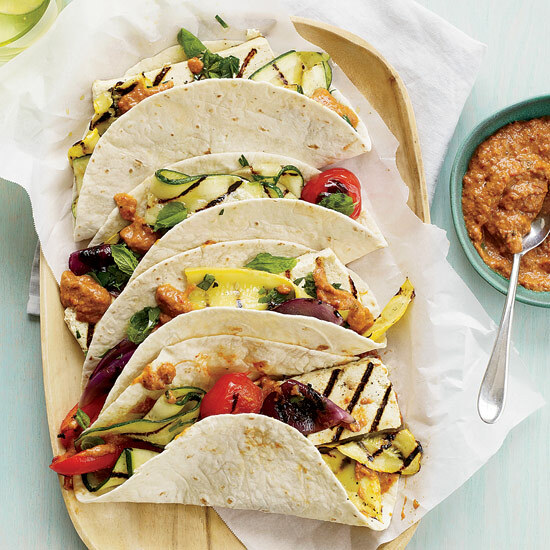 The smoky spread for these fantastic vegetarian tacos also makes a delicious dip. Have an abundance of grilled veggies? 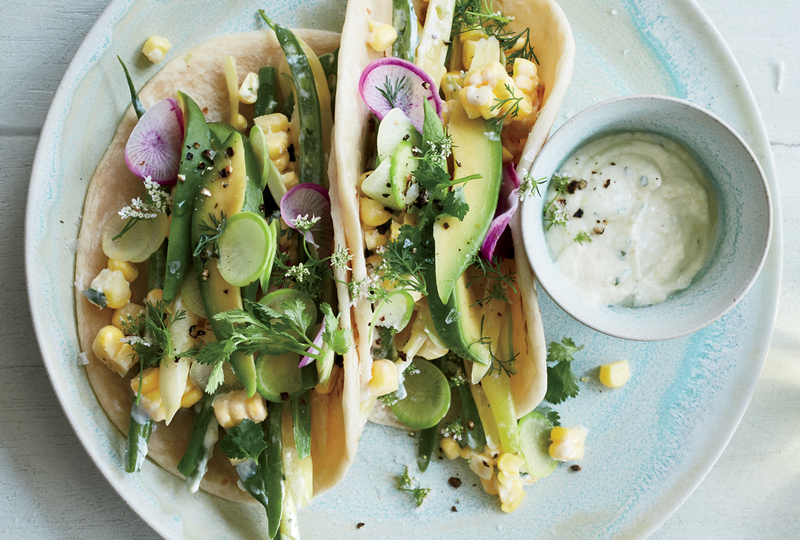 Try these excellent vegetarian tacos. 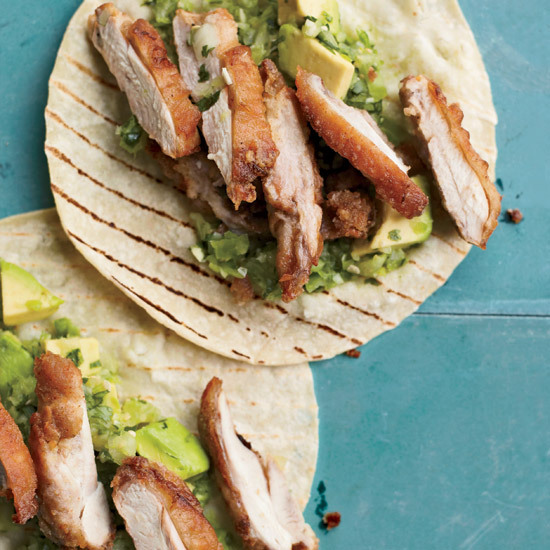 Not that you'd let any piece of fried chicken go uneaten... but if you do happen to have some leftover the next day, follow Andrew Zimmern's lead, add avocado-tomatillo salsa and wrap it up. 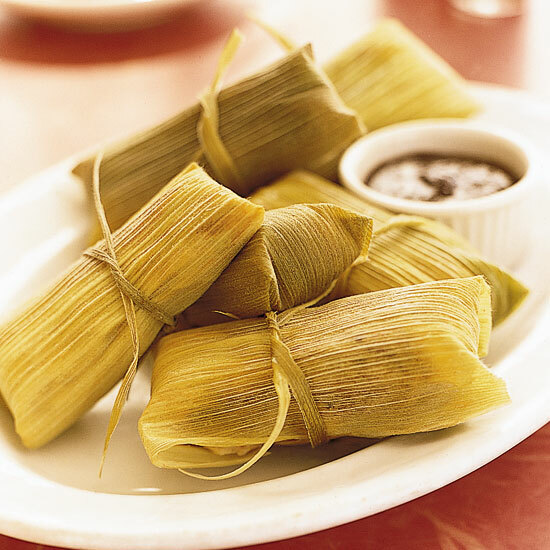 Even if you didn’t marinate your pork shoulder for days before spit-roasting it, like the traditional technique calls for, you could improvise with any grilled pork here, as long as you don’t forget that pineapple. Leftover corn on the cob, plus whatever leftover salad or grilled veggies you might have, combine for a refreshing mix, made even better when you scrape the cobs and mix the corn milk with yogurt for an addictive sauce. 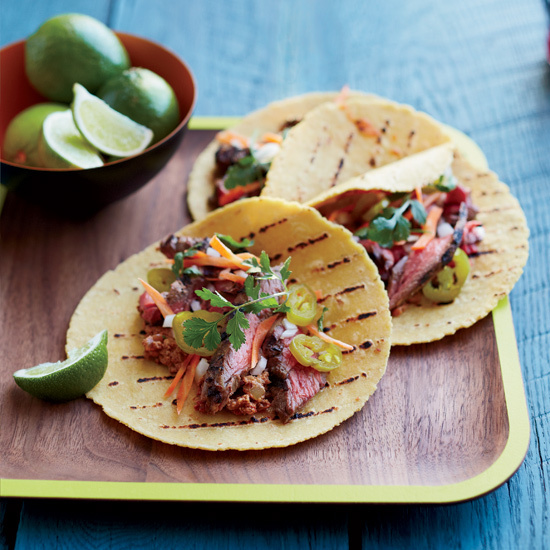 Top skirt steak with pico de gallo and call it a day. 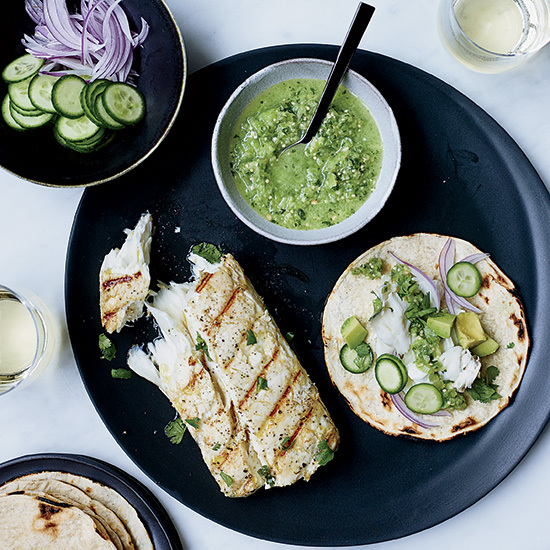 Whatever kind of fish you might have grilled will go great with tart and slightly bitter tomatillos, punched up with a kick from the jalapeño.